In this first full-length study of improvement and National Improvement Associations (NIAs), Craig Turnbull explores the ideas and behavior of key improvement ideologues and practitioners. 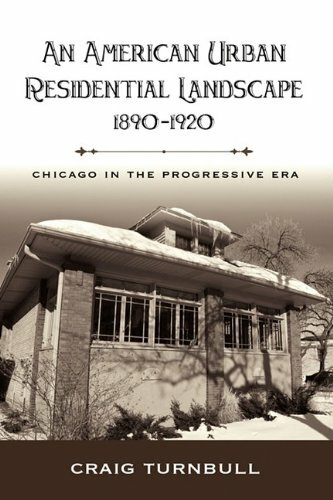 The book outlines the rural origins of improvement, and examines why Chicago became a focal point of grassroots improvement during the late nineteenth and early twentieth centuries. The book also offers the first systematic description and analysis of NIA objectives, activities, membership, politics, and organizational structures. It analyses the role of improvement in advancing the new professional agenda of real estate businessmen, and explains how and why they and NIAs became accomplices in adapting the ideology of improvement to develop and legitimatize the practices and discourse of legalized housing discrimination. The book concludes by explaining how the fine balance between reform and illiberalism underpinning grassroots improvement was upset by various structural and social changes, focusing on the increasing professionalism of reform leaders; the conflict between ascendant professional real estate businessmen and independent operators; the "Great Migration" of African Americans to Chicago; and the economic strictures imposed by World War I. This important book will appeal to urban scholars in a range of disciplines and to a more general audience interested in the history of cities during the late nineteenth and early twentieth centuries. The book would make an important addition to courses on urban history and urban studies, especially those that focus on the culture and politics of urban growth. The insights into the contradictions of progressivism offered by the book will be of particular interest to scholars and students seeking to extend their understanding of the changing dynamics of reform activity during the Progressive Era.